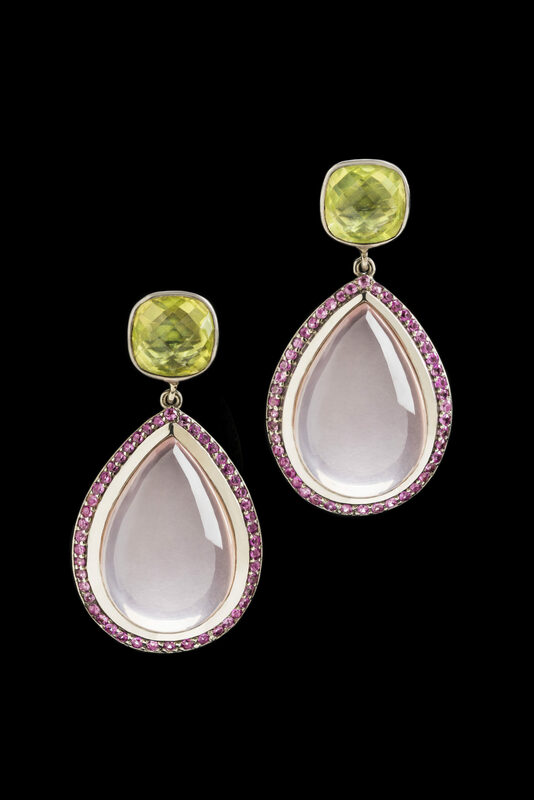 View cart “Pink sapphire, rose & lemon quartz drop earrings” has been added to your cart. 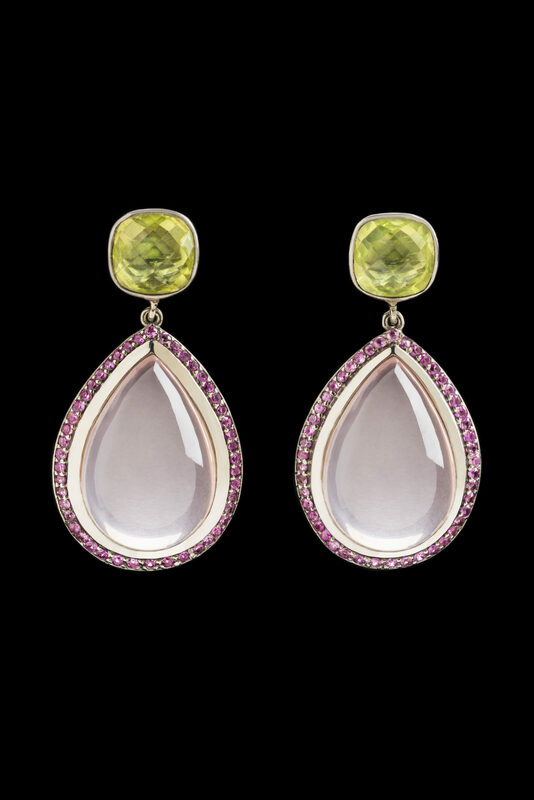 These large rose quartz cabochon pear shaped drops are surrounded by pink sapphires. Drops are suspended from cushion shaped ‘chequerboard’ lemon quartz ‘studs’. Divine generous, attention seeking and yet lady-like.